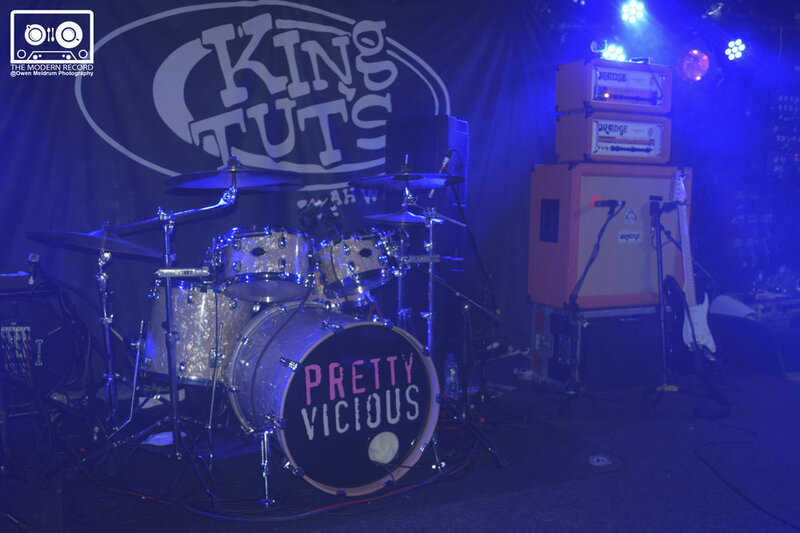 On Thursday night King Tuts saw the return of Pretty Vicious, a four-piece Welsh punk band who have exploded onto the music scene in the last two years with their heavy punk-rock style. Supporting them at the iconic venue was Adrenaline Animals and The Vanities who got the crowd ready for the Welshmen. The three-piece makeup of Adrenaline Animals kicked the night off well with some intense tunes that drew in the crowd. With an incredible amount of energy and attitude it was not only the remarkable music that entertained the crowd but the character of the band and most prominently the lead singer (Ad Edwards) gave the crowd a memorable performance. In an interview after their performance I asked the band how it was to play in King Tuts, Alex Combe ‘Al’ (bassist) replied “It’s great to play in Glasgow […] I’ve always wanted to play here (King Tuts)”. While continuing talking to Ad and Al it was clear that they were experienced musicians with their own views on the music industry. When talking about record deals the frontman Al said this “I don’t wanna sign a f**king record deal, ever. […] Been there done that, don’t wanna do it”. A clear statement that shows the band have a belief in themselves to perform well to the crowds that come to see them. With a debut song on Soundcloud and multiple support slots for The Hoosiers’ upcoming tour this band could go anywhere in the next few years, definitely one to watch. Next up, The Vanities a young indie-punk band from Glasgow. 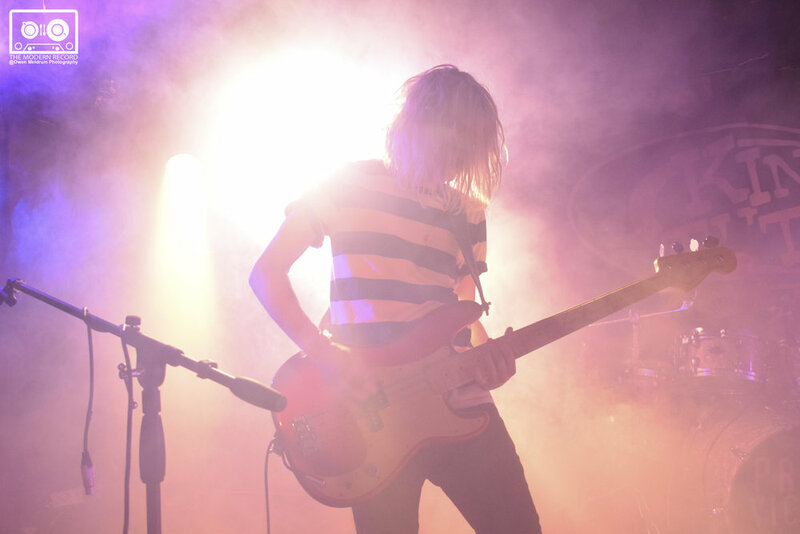 With an ever-growing fanbase the teens seem to have everything ahead of them. With performances in many venues around Glasgow such as Ivory Blacks, Stereo, Broadcast and The Record Factory this band are doing all the right things to build their audience. With a tremendous cover of The Beatles’ ‘Twist and Shout’ half way through their set it got the crowd ready for their following song ‘These Four Walls’, one of their newest songs. An overall great performance and I think it’s safe to say the audience at King Tuts loved it. Just as they loved the next act. Pretty Vicious then arrived on stage and with a roar from the crowd, it was obvious that the performance had been awaited by many fans. By the second song ‘Are You Ready For Me Now’ the crowd was chaotic, with teens launching themselves around in celebration of the music this quartet from Merthyr Tydfil (Don’t panic, I don’t know how to say it either) have created. The band itself was incredible with lead singer Brad Griffiths tearing up the mic with his almost psychotic screams and the rest of the band Elliot Jones (Drums), Jarvis Morgan (Bass) and Tom McCarthy (Guitar) absolutely killing the performance giving the Glasgow crowd just what they wanted…some viciousness. In comparison to the last gig Pretty Vicious put on at Tuts it was almost alarming at how mature and professional they seemed playing, not to say that they weren’t wild because they were but there was an added quality to them this time around. 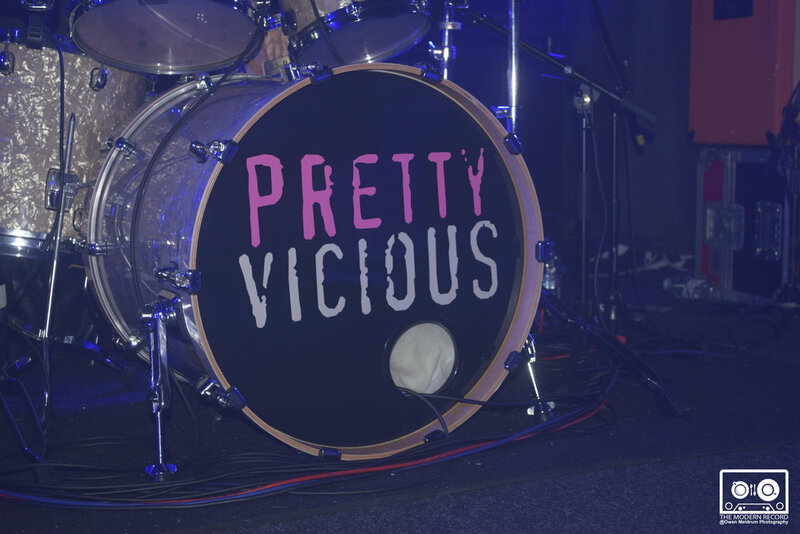 Pretty Vicious have everything going for them right now and if they don’t end up being a big name in the scene in the next few years I will be baffled. In fact it’s confusing why they’re not on news headlines. They are a promising band and I can’t wait to see what happens next.